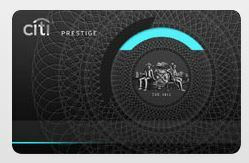 Last year, I applied for the Citi Prestige card with a 60,000 point signup bonus and over the past year, I’ve made great use of the some of the features of this card including the $250 airline credit, 4th night free, AA lounge access and more. In fact, one of my top posts from last year was why I thought the Citi Prestige was better than the American Express Platinum card – something I still believe to be true. Anyway, the annual fee on the Citi Prestige is a hefty $450 annually though if you are a Citigold checking customer with Citibank, you get a reduced annual fee of $350. Last year, I was a Citigold member for about 3 months when I signed up for a Citigold account to earn 30,000 American Airlines miles and then I immediately downgraded my account to a Basic checking account (no fees if you keep a daily average balance of $1,500) once the miles posted. When the annual fee on my Citi Prestige became due this month, it should have been $450 since I was not a Citigold customer anymore but instead I was still charged the reduced annual fee of $350. I have been speculating that this exact scenario was going to happen with the reduced annual fee and I’m glad I was ultimately correct. The reason I knew this had a decent likelihood of happening was that every time I called Citibank about the Citi Prestige card, I was thanked for being a Citigold customer, even though I was really no longer a current Citigold account holder. There is some sort of glitch in Citibank’s system that shows my Basic checking account which was a Citigold account, as an active Citigold account to Citibank representatives and is linked to my Prestige card resulting in the reduced annual fee. Many of us became Citigold customers at some point in the last 12 months due to the various great offers for a Citigold account including 50,000 AA miles or Thank You Points at the peak. Unless you planned to keep a large amount of money in the account, most people downgraded their account to a Basic checking account or closed their accounts completely. If you happened to convert your Citigold account to a Basic account and it is still open, you should be able to get the reduced annual fee on the Prestige card. I’ll happily continue to park $1,500 in my Basic checking account instead of a savings account if it continues to save me $100 every year on this card. I am keeping the card as after the $250 airline credit (which I will use to buy domestic flights I would normally pay for anyway), I am effectively paying $100 for AA lounge access, Priority Pass lounge access, the 4th free on hotel stays, and more which is a good value to me. I do think Citibank will catch on at some point and fix this glitch but let’s hope I’m wrong on this! I cancelled my Citigold in fall after doing the AA offer in summer and I have still gotten thanked for being a Citigold customer when I’ve spoken to them. I literally have no banking with them! But I haven’t tried to see if it would score me the $350. Pro-tip: it has been my experience you can also keep this basic checking account fee free by one bill pay and one ‘direct deposit’ per month. I have had success with a $5 auto transfer from my other bank to Citi, and a $5 bill pay to my electric company. Hope this works for you guys. When does the annual fee post on this card? I received my prestige card about a week ago and have not seen the AF post yet. Thanks for this. So when you say you immediately downgraded, does that mean even before the bonus posted? Good timing on this post. My 50K AA miles are due to post in another 2 weeks. My AF fee for Prestige is coming up in May. I was going to keep the Gold Checking until the AF posted to save a few bucks but I think I’ll try this route. So if u get the card before u open an account would u still get the reduced 350 dollar fee after you open the account latter on. And just to clarify the fee becomes 450 dollar again if u close the citi gold account?